Chef Patrick Feury and his partners at Nectar Restaurant are hosting Eat. Drink. Read. Write: A Taste for Literacy, a cocktail party and auction to raise money for Mighty Writers, a youth literacy program. The event will take place Sunday, September 11 at 2 p.m. at Nectar in Berwyn, PA. Guests can indulge in Feury’s Asian-inspired hors d’oeuvres and fruity cocktails while bidding on one-of-a-kind items such as culinary excursions and cooking classes with some of Philly’s superstar chefs. About 550,000 working age Philadelphians are functionally illiterate. Add to that the recent budget cuts in the Philadelphia school system, and the crisis only gets worse. Tim Whitaker, a writer and former newspaper and magazine editor, created Mighty Writers in 2009 to address the problem. The hugely successful non-profit organization hosts imaginative workshops after school and on weekends where kids learn to write and communicate clearly. Mighty Writers students make comic books, write rap songs and put together videos to tell their own stories. Admission to the program is free but space is limited, and there is a waiting list of youngsters hoping to attend. Whitaker’s goal is to expand to more Philadelphia neighborhoods, but to do that he needs to raise funds to grow the program. All proceeds from the Eat. Drink. Read. Write. auction will help Mighty Writers achieve this goal. Guests can bid on a variety of items, fishing trip with Philly chef and restaurant owner Chip Roman, a cooking class for eight children at Fairmont’s London Grill, or a banquet for six at Vietnam Café and much more. Nectar is located at 1091 Lancaster Avenue in Berwyn, PA. Tickets to this benefit cost $85 and are available at http://www.mightywriters.org or call 267.239.0899. You Say Tomato, I Say Let’s Eat! There is no such thing as too many tomatoes. We love them over here at Breslow Partners. We don’t always agree on the pronunciation (because it’s only correct to say tah- MATE- oh) but we can agree on one thing- we’re crazy for these heirlooms. Good thing we’re not the only ones. Lotus Farm to Table has tasted, tested, and turned out the best tomato dishes for their Tomato Mania event. All throughout August they are offering an ever- changing four- course tomato- tasting menu for $45. And everything is made with tomatoes from area farms. They’re definitely the best tasting tomatoes of the whole darn year. And you’ve got the rest of August to indulge in this seasonal fruit. 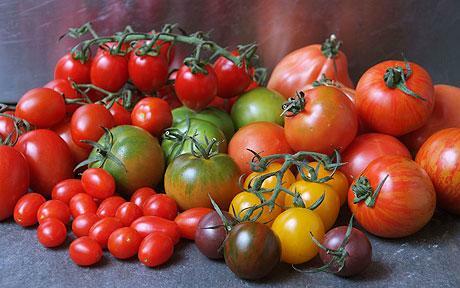 So if you love tomatoes, be sure to make your reservation now for Tomato Mania at Lotus. 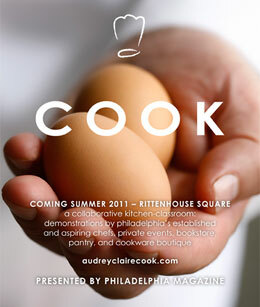 Philadelphia Is Excited For Audrey Claire’s COOK. Audrey Claire Taichman is trying something new. The owner of Audrey Claire and Twenty Manning Grill is launching COOK at the tail end of the summer. It’s a collaborative kitchen-classroom that will be used for cooking lessons, demonstrations and conversations by night and a cookware/pantry boutique and bookstore by day. The appeal of COOK is the chance to learn from a-list chefs and food enthusiasts, such as Georges Perrier, Michael Solomonov, Stephen Starr, ?uestlove, Michael Shulson, David Katz, and more. With every evening class, wine and spirits will be included in the cost of the lesson. COOK will be located at the corner of 20th and Rittenhouse St. Class prices will vary. You can see the full schedule and enroll online here. Have You Heard About Bombora? Ocean City, Maryland’s newest dining destination, Bombora, opened its doors to the public in April. The Asian-Latin fusion restaurant perfects the art of marrying fresh, seasonal ingredients with inventive, inspiring preparations. Chef Arturo Paz’s vision is for his restaurant to embody a sense of community, where diners gather to share dishes along with a one of a kind dining experience. Some highlights off the menu include whole fried yellowtail snapper with Asian slaw and red Thai curry as well as mojo marinated pork flat iron with arugula and green plantains. Luxurious, sweeping views of the ocean enhance the culinary experience you’ll have at Bombora. Check out the full menu here. Located in the newly renovated Beach Plaza Hotel at 13th Street and the Boardwalk, Bombora will showcase spectacular views of the Atlantic Ocean. Bombora serves dinner nightly, and has a full menu for breakfast and lunch. 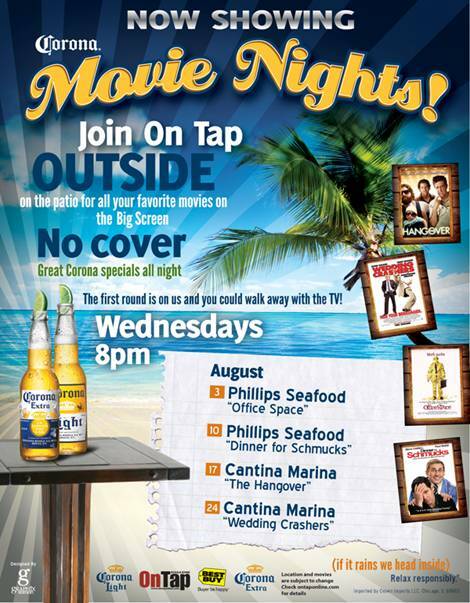 Reservations are available by phone at 410-289-9121; free parking is available on site. High Fructose Corn Syrup And High Hopes! On a fateful day in the sweltering summer, three interns and one VP decided to do something that only the inebriated would attempt. The event? A full-blown soda tasting competition, complete with contestant scorecards, blindfolds and fluke soda flavors. This showdown was not one to be missed. The idea stemmed from a bet between our French intern, Jeremie Bohbot, and one of our bosses, Jen Mansfield. The deal was that if one of them could identify any flavor without looking, they would win respect, bragging rights and the title of Office Champion of all things carbonated and sugary. Soon, the concept snowballed and the whole office was in on the battle until we reached the conclusion of 4 competitors, 8 flavors, 1 trick flavor, and an endless amount of photos. The four of us all considered ourselves contenders in this epic brawl of the beverages; things were getting fiery, and it wasn’t just from the heat wave outside. And the games began. 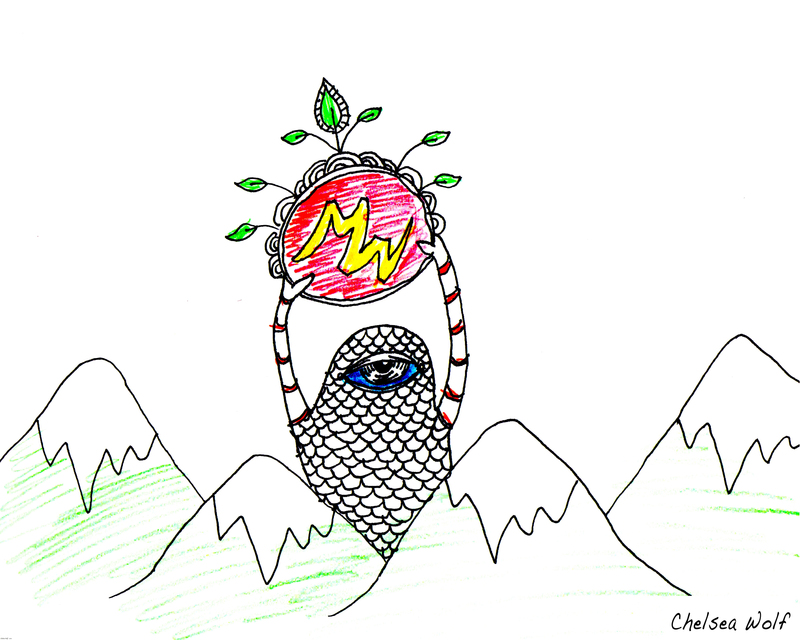 Blinded and flailing, at the mercy of our taste buds, we gulped and ruminated and sniffed and second guessed ourselves… It dawned on us that our mission was harder than we could have ever fathomed. With our stomachs aching from the high fructose corn syrup and our hopes high, we viewed the results. With my refined taste buds, I was the obvious victor, but unfortunately I have to live with sharing the glory with my co-worker, Jacob.